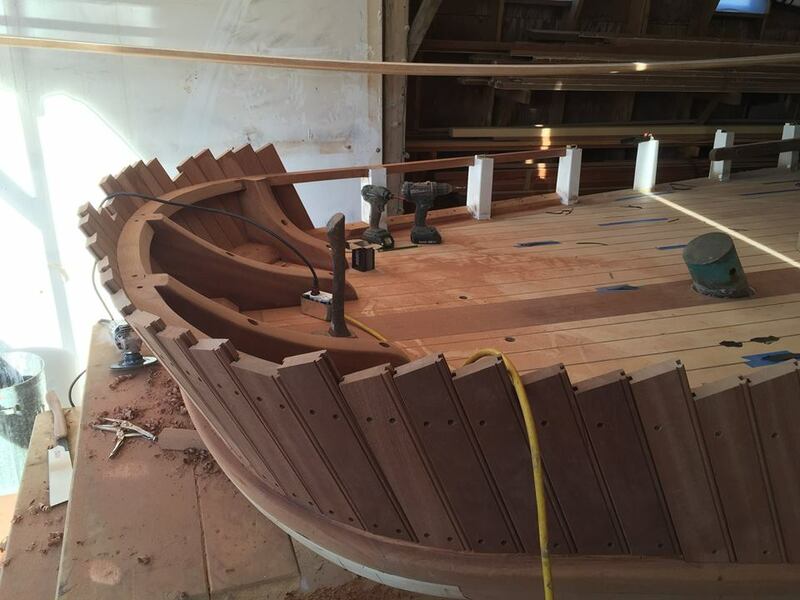 Feature Projects — Abernethy and Gaudin Boatbuilders Ltd.
Classic boat restoration projects, from complete rebuilds, restorations, planking, house reconstruction to mechanical and electrical systems. 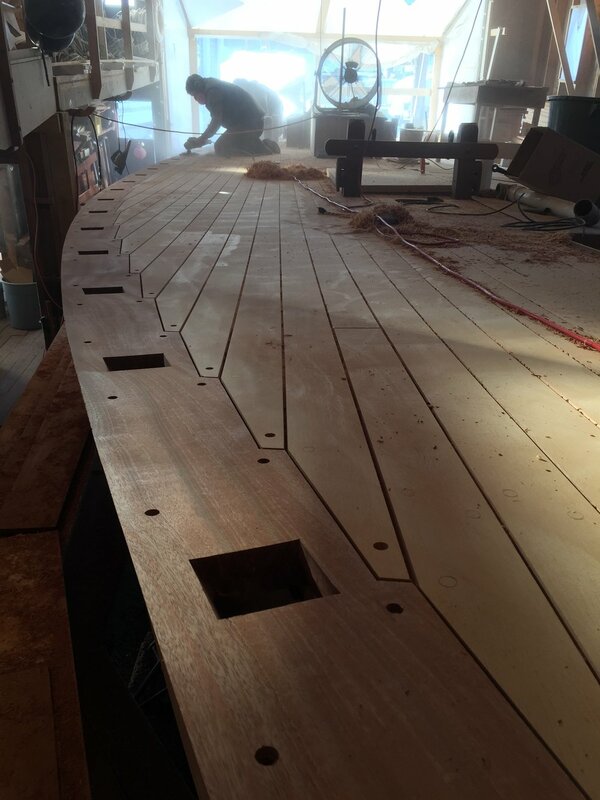 Abernethy and Gaudin build and restore all shapes and sizes, from small skiffs to the HMCS Oriole. 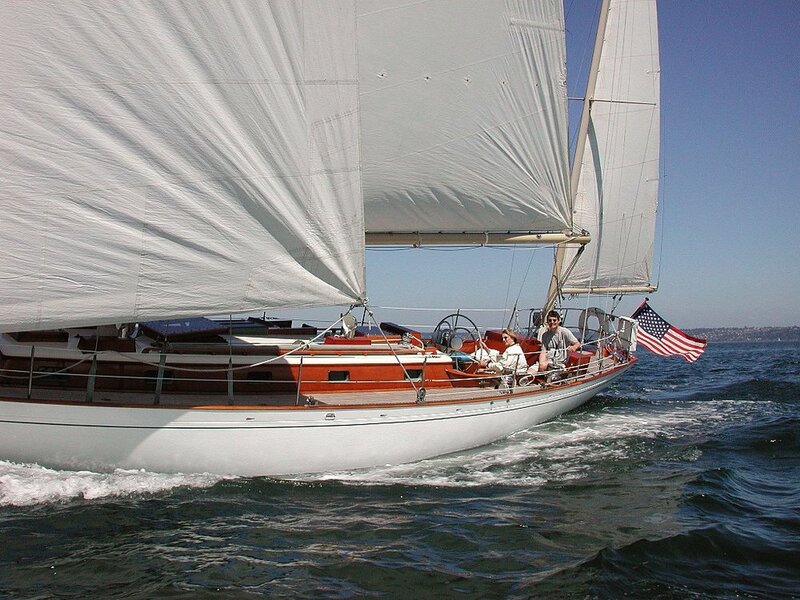 50' Aage Nielsen Yawl. It was a true pleasure to redefine the colours and lines of TIOGA. The owners have kept this boat their priority and it show. Tioga turns heads at every stop. 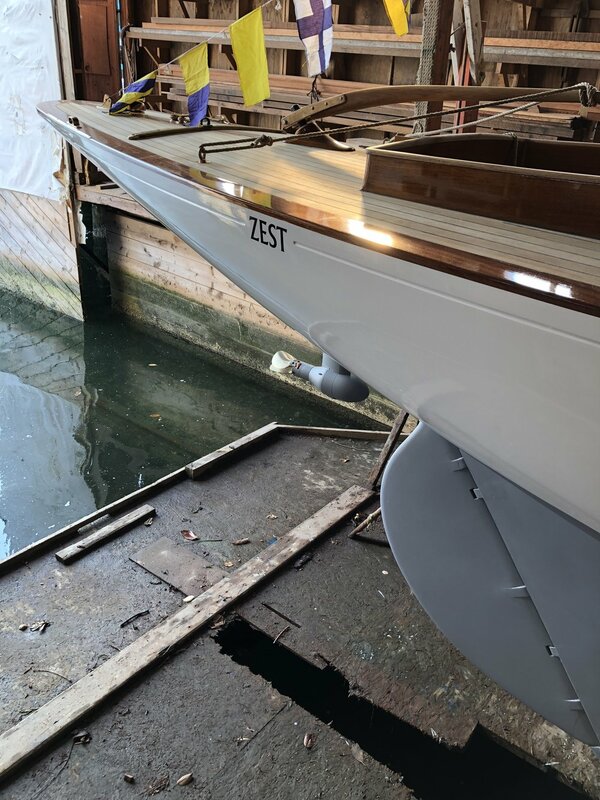 During her stay at the shop she received new varnish and paint all around, re caulked the decks and replaced a section of the cap rail. To top it off we added gold leaf lettering and a gold pinstripe. Stunning! 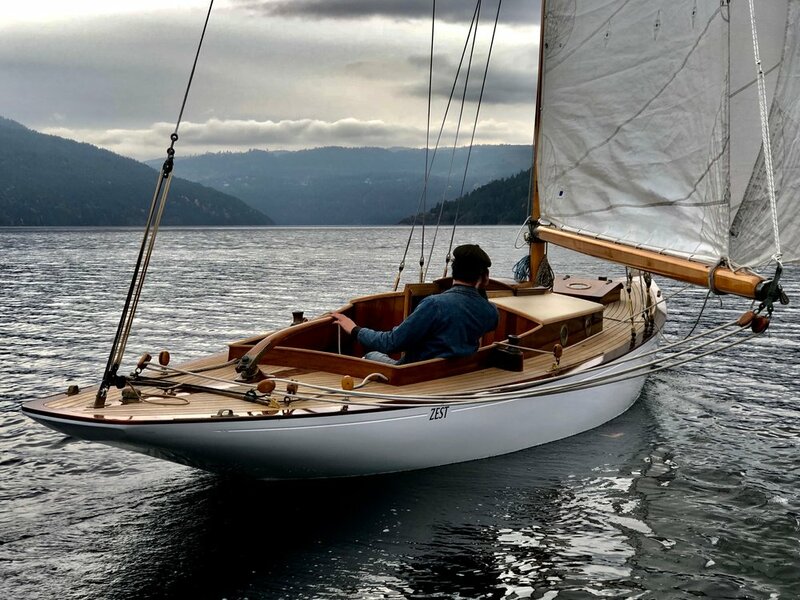 Built in 1937 by Moody Boatbuilders in Southampton England. Zest is a One Design sailboat famously winning the round the Isle of Wright Races of that day. Approximately 1/2 of Zests hull was saved. 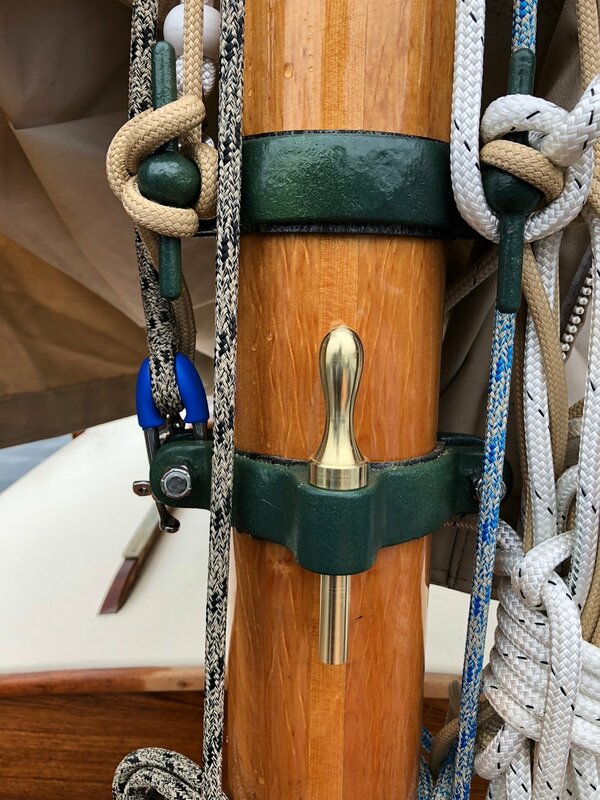 She has a complete new rig made of Sitka spruce and Spectra rigging. 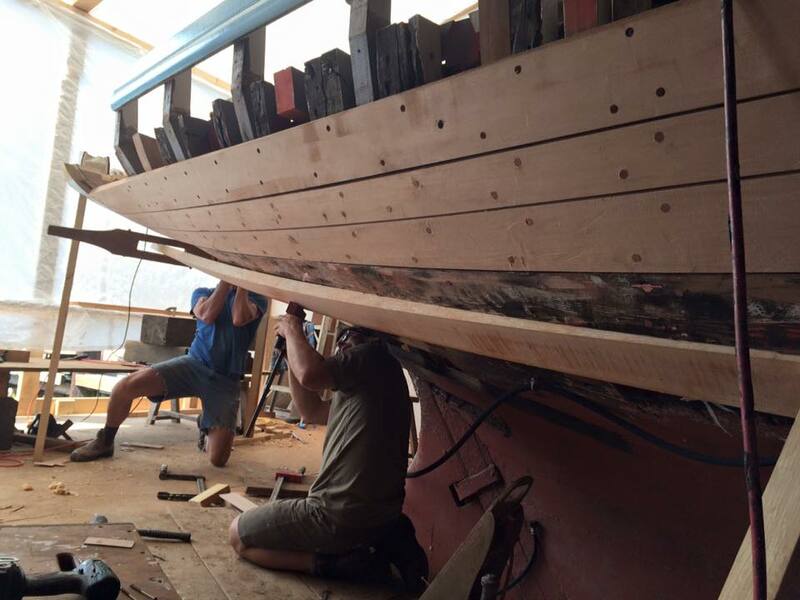 Beginning in the fall of 2016 Carlotta arrived at the shop to be de-rigged and the work to begin. Carlotta being 117 years at the time we imagined we would find some wood to replace. In the end we spent 10,000 hour restoring her to her original beauty. It was important to the owner that Carlotta stay as historically original as possible. We achieved this to the satisfaction of the owner and historians alike. Restoring Carlotta was a dream come for us here at Abernethy & Gaudin. Since the completion in 2017 Carlotta was transported to Southampton England by truck and ship transport vessel. 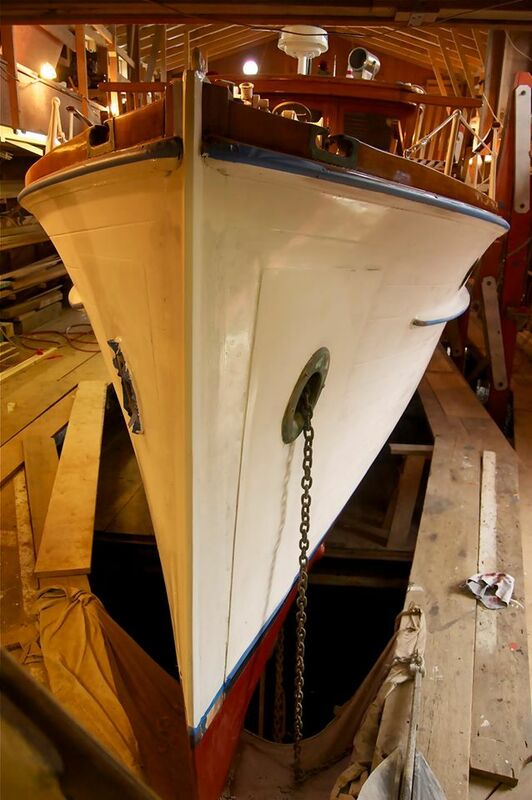 She is now at Elephant Boatyard in Southampton where she is moored and maintained by the yard there. 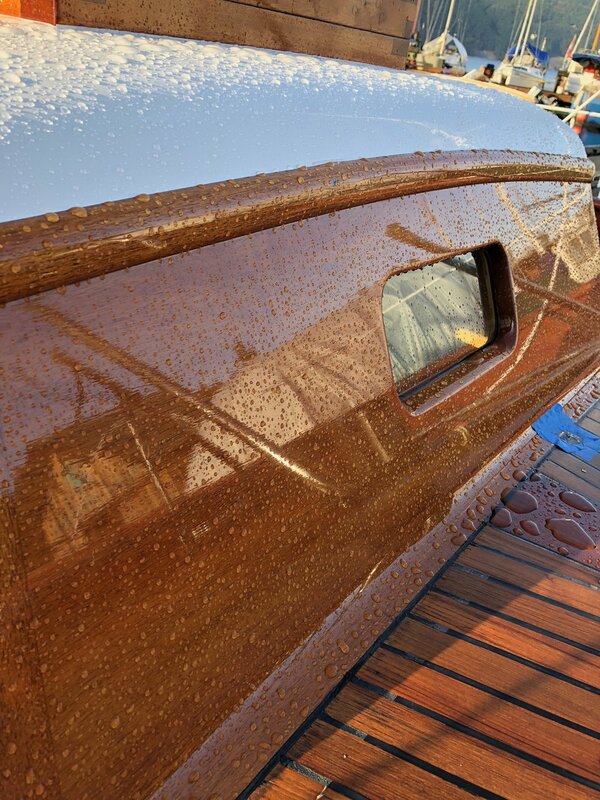 Euphemia is a great example of a boat that will never get the title "restored" Since her beginning she has been maintained to a high degree. 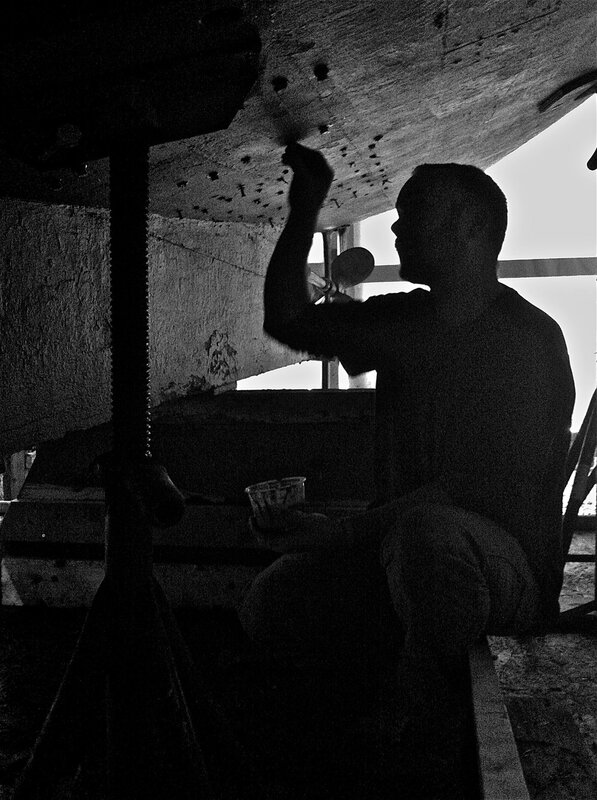 Every year a section of the boat would be serviced with great craftsmanship. TeakBird was a joy to work on. All the materials chosen by the customer were top quality and the craftsmanship was to be of equal standard. It was a perfect fit for us. During the restoration Teak Bird received a new John Deere engine, prop and shaft. All the tanks were built in stainless. All new deck beams, Carlins and solid teak decking. 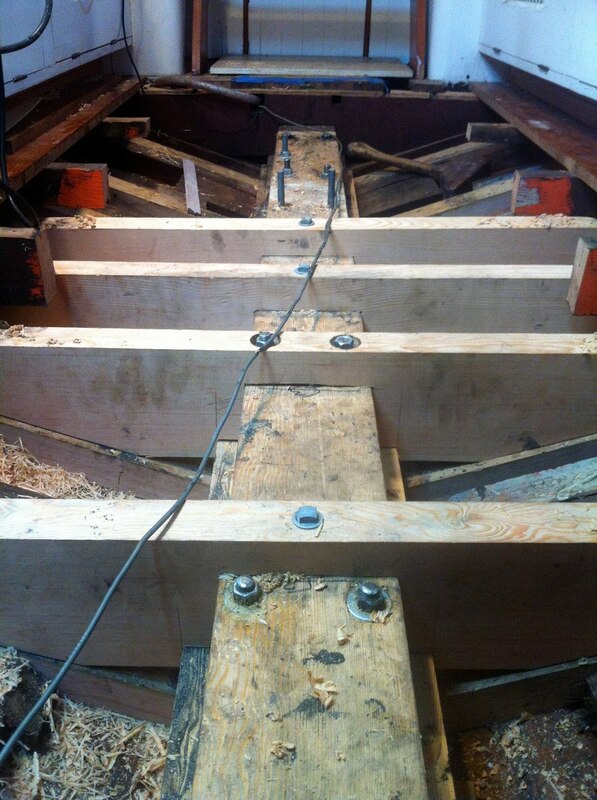 Basically the whole boat is new with the exception of the majority of the hull framing, planking and keel. She now lives in Seattle. 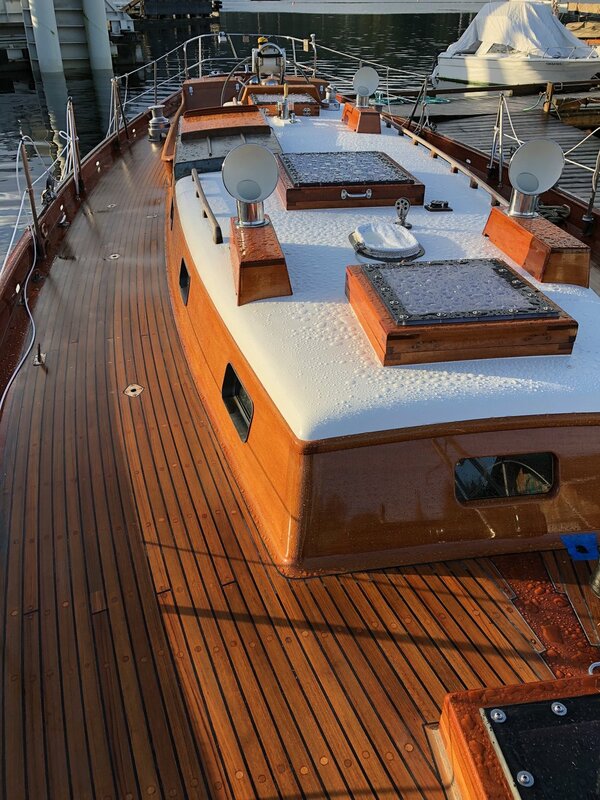 Our most recent restoration on HMCS Oriole was the replacement of the teak deck and houses on the vessel. 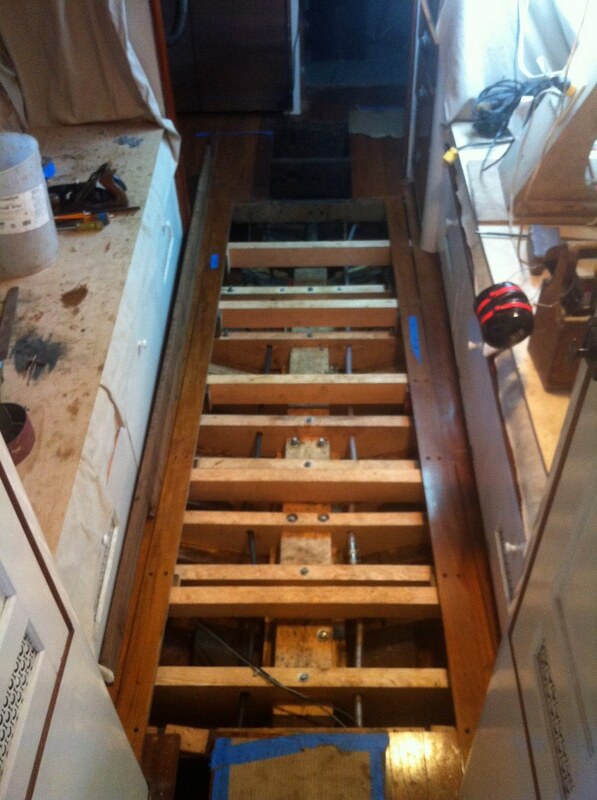 All of the decking was worn out and the houses were damaged and leaking badly. Oriole was scheduled to go off shore and the decks and house were not up for the trip. 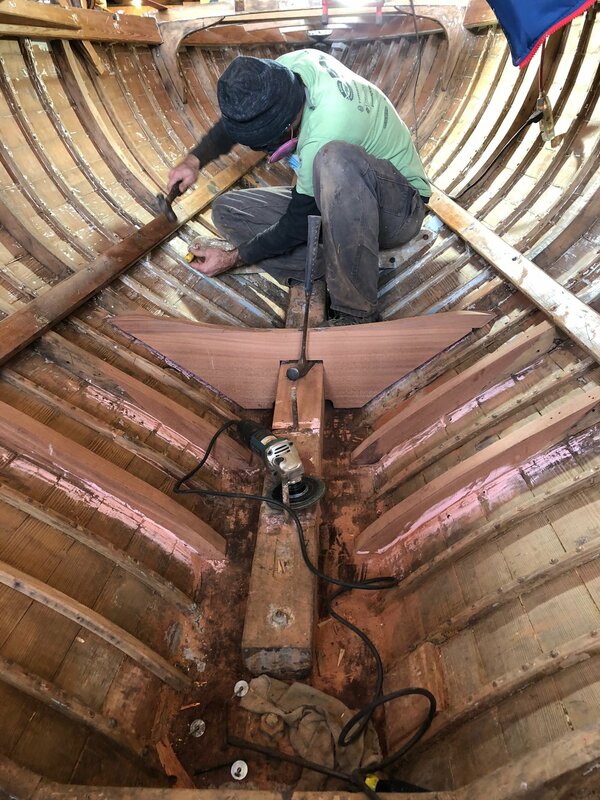 A shelter was built on the boat and the work was completed at the dock over the winter of 2016. The Navy was extremely pleased with the work we did on her.